Many companies overlook the potential of teams to turn around lagging profits, enter new markets, and make exciting innovations happen because they don't know how to successfully use teams. Authors Jon Katzenbach and Douglas Smith talked with hundreds of people in more than thirty companies to find out where and how teams work best, and how to enhance their effectiveness. Graham Duncan (GD): Katzenbach Partners helps clients "achieve breakthrough organizational performance." How do you move your clients from survival mode to breakthrough performance – especially in these challenging economic times? Jon Katzenbach: By far the most critical aspect of a turnaround challenge, which is to say moving from survival to "breakthrough", is getting the informal elements of the organization to support and catalyze the formal elements. The informal elements include such things as culture, values, work norms, emotional energy, and collaboration. Most companies tend to rely only on the formal side, and leave the informal to instinct and chance. We work to help our clients integrate and get the best two dimensions of organization. The Aetna turnaround between 2002 and 2006 is an excellent example of a well integrated effort that succeeded where early "unbalanced" efforts fell short. (GD): In your recent interview with Business Week Magazine you indicated that in these recessionary times the key to encouraging people has more to do with figuring out how to connect them emotionally to their work than throwing money or promotions at them. Would you elaborate? Jon Katzenbach: An emotional commitment to change behaviors is more important than rational compliance – particularly at the front lines. The "master motivators" in any organization concentrate on getting the people who work for them to feel good about the work they have to do no matter how routine or difficult it is. Once people start to feel good about their work it is a natural step to get them to take pride in doing it. In that sense, pride in their work is a better motivating force for behavior change than money or promotion. Money attracts and retains, but pride in your work is what motivates change and performance. (GD): You indicate that the leader in a team is less important than a clear, compelling performance challenge that results in mutual accountability. The establishment of mutual accountability is a shared activity in which team members learn to trust one another. What role does the leader play in helping to establish that trust? Jon Katzenbach: The leader's most important role is to ensure there is a common commitment among the members to the team's performance purpose and goals. The leader also works to ensure there is a balanced integration of members' skills. In a real team, the leadership role actually shifts among the members so that each member leads when his or her skills and experience fits the task at hand. The formal or designated leader ensures that the leadership role shifts as needed. The formal leader also works to develop "mutual accountability" among the members for the success of the effort. (GD): The importance of teams continues to grow, along with the complexity, scope, and type of challenges that teams face. Are we asking too much of teams? Jon Katzenbach: I don't think so. Real teams are a remarkable performance unit that has been around for hundreds of years. However, a "real team" is not always the best way to address many aspects of organizational performance. Moreover, a real team is more about disciplined choices – when and how to team – than it is about togetherness or bonding. Teaming efforts run into trouble when they lose focus on those aspects of their situation that warrant disciplined teaming. (GD): Are there alternatives to teams, such as crowdsourcing or blogs, that are equally well suited to meeting challenges in the Twenty-first Century? Jon Katzenbach: Yes, there are many alternatives for small group performance, such as real teams, single-leader units, dialoging groups, and purpose driven councils. The ones you suggest – crowdsourcing or blogs – are not really alternatives to teams, although they are important elements to consider for broader group effectiveness. A disciplined team will always be an effective organizational performance tool, but never the complete answer to overall organizational performance. Real teams can make excellent uses of crowdsoursing or blogs as well as other informal networking approaches. (GD): On your website you frequently publish articles on teams and organizational performance. For example, one of the recent articles discusses how to get more performance from staff in recessionary times. Is your organization devoting more time and energy to supporting your website? What feedback do you receive? Jon Katzenbach: We devote a great deal of time and energy to supporting our website and to publishing new thinking on strategy, management, and organization based on insights from our work with clients. Our feedback suggests that companies are backing away from important long-term imperatives to concentrate on short-term cost reductions. The more enlightened leaders, however, see this as an opportunity to gain an advantage when the recovery comes. (GD): What projects are you currently working on, and can we anticipate another book? Jon Katzenbach: My colleague, Zia Khan, and I have just finished a new manuscript entitled "The Informal Advantage" which contains dozens of case studies on how different kinds of organizations have excelled at integrating and balancing their formal efforts by mobilizing their informal organization. In addition, I'm just finishing a book with a former Aetna executive, Roger Bolten, that tells the Aetna turnaround story. It reaches back into history to contrast successful and unsuccessful change efforts that preceded their remarkable recent turnaround. And last, but not least, one of my colleagues and I are contemplating a book on the "character quotient", which will probe ways to strengthen the "character" of leadership systems. 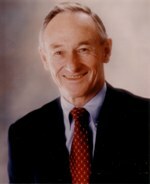 Jon R. Katzenbach is a founder and senior partner of Katzenbach Partners. He is a former director of McKinsey & Company, where he worked for over 35 years. He is the author of Why Pride Matters More Than Money: The Greatest Motivational Force in the World, Peak Performance: Aligning the Hearts and Minds of Your Employees, and co-author of The Wisdom of Teams: Creating the High-Performance Organization. He is also the author of numerous published articles. We would appreciate receiving feedback about this, or any of our other articles on the IdeaConnection.com website. [Contact Vern Burkhardt] with any comments or suggestions. If you would like use to interview you about an article or book you have written, or an interesting idea, or a business you are involved with, [contact Vern Burkhardt].